Today we finally got out my new sewing machine my Mom got me for Christmas. Emma picked out her fabric awhile ago. Today I didn't have AJ so it was the perfect day to start sewing. I used to sew when I was a little girl. I haven't sewn in over 15 years. Oh my, it was hard to thread the machine. But we finally figured it out. Emma loves her blanket! Emma, "Mommy, you have to be in the picture." She took a pretty good picture too. 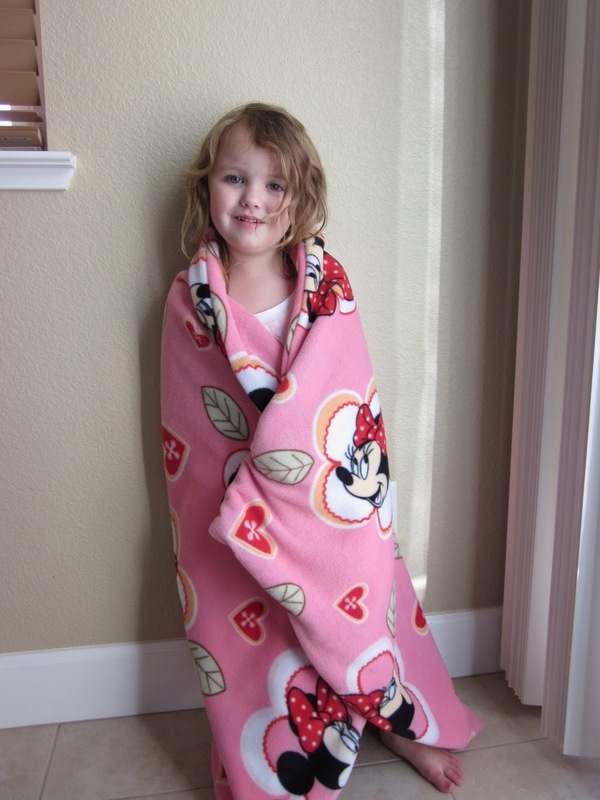 Emma's new Minnie blanket. I'm so happy it turned out well. I would say our first sewing project turned out great. This blanket is soft and the perfect size for her.